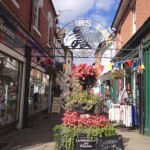 Home to many a black and white building and packed with antique shops, Leominster sits to the north of Hereford City, in the heart of The Herefordshire Marches and close to the border of Shropshire. 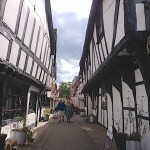 Leominster heralds the start of The Black and White Trail, which you simply cannot miss on a visit to Herefordshire. You’ll need transport, as it’s a 40mile circular trail to the west but well worth it. Jump in the car or for the more adventurous visitor take to your bike. 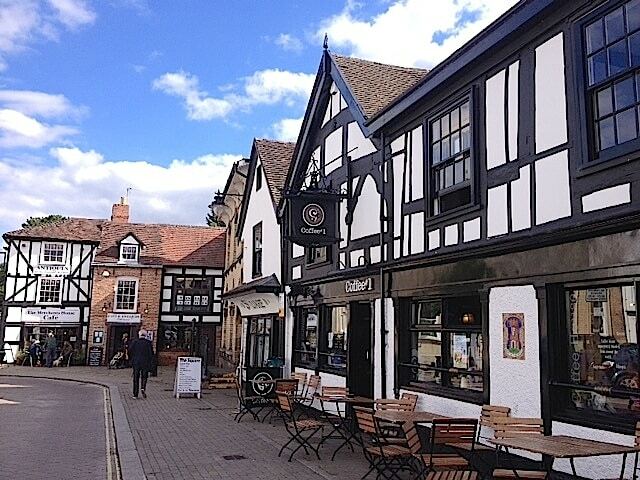 It’s truly beautiful and showcases some of the prettiest chocolate box villages in Herefordshire and makes you realise just why you chose to come! 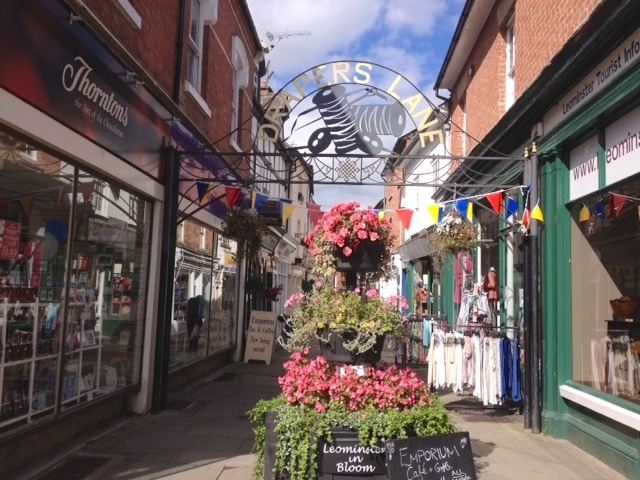 If you are looking to shop then Leominster won’t disappoint and will quite possibly provide you with that rare find or absolute bargain, as it’s awash with antique shops and even has an auction house if you fancy your chances under the hammer. 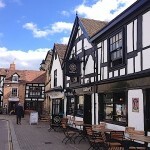 Leominster also does history in bucket loads, from its own Leominster Priory, Castles to Courts, with the 11th century Croft Castle close by and Grange Court, widely regarded as King’s carpenter John Abel’s finest work, in the town itself. 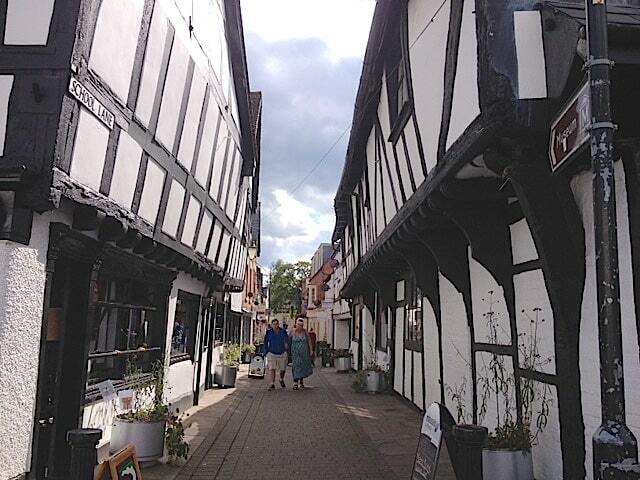 Herefordshire is of course famous for Hereford Cattle but Leominster is also the historical home of the Ryeland Sheep and, whilst visiting, you simply must explore how the ‘Lemner Ore’ became famous for its top quality wool, a must-have for the textile trade in the middle ages. 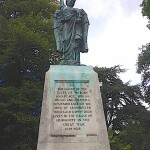 Of course discovering all about an area, its history and what it offers today can be fascinating but Leominster offers plenty of family activities too; you can hire bikes, go bowling, play a round of golf, fly a kite, explore Queenswood Country Park or treat them to lunch at the OK American Diner! There are plenty of places to stay too both in town and more rurally, with hotels, B&B’s, guesthouses and self-catering cottage options for those who prefer to shop locally and cook up a storm in the kitchen. 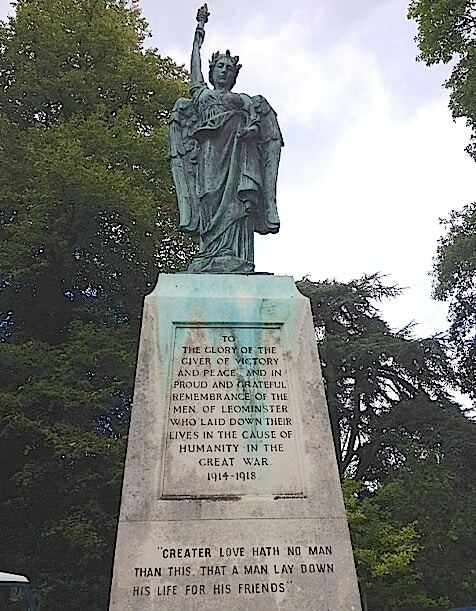 Leominster’s wonderful ‘lasting’ impressions include, the last landscape garden design by Capability Brown at the National Trusts Berrington Hall and the last surviving ducking stool at Leominster Priory, but definitely the last thing on your mind will be leaving as you enjoy the hospitality that Leominster offers. Magical Aardvark Books is situated in a series of stone barns in Brampton Bryan Brampton Bryan is an historic and beautiful village in the north of Herefordshire on the Shropshire border on the A4113 road between Leintwardine and Knighton. Aardvark Books bookshop contains over 50,000 new and second hand titles across all subject areas, and has a very popular café which serves refreshments, home-made cakes and light lunches. Almost all new books are half-price or less, and the shop includes a fantastic range of books from latest blockbusters to antiquarian gems. There is ample parking for cars and coaches, and the café can seat 40 people comfortably. Throughout the year Aardvark organises a range of events including art exhibitions, a Civil War Re-enactment in conjunction with the English Civil War Society (in August), plus markets and music events. For more details of events have a look on their website. Open 7 Days a Week: Monday-Friday 9am-5pm, Saturday 10am-5pm, Sunday 10am-4pm.